Lynn has been a full-time real estate professional since 1973, spending the first 7 years in Northern VA, specializing in investor properties and first time home buyers. She moved to the Bradenton/Sarasota area of FL from 1980 until 1985, serving in general real estate and as the Marketing Director for a private island community in the Sarasota Bay. Lynn and her family moved to Highlands in 1985 after finding it on a three day visit to the area. The welcoming spirit of the Highlands people, the beautiful mountains and the quaint, historic town called out to me as a perfect place to raise my children and to have a better quality of life. Lynn was hired to represent the developer of Highlands Falls Country Club in 1985 as the Broker-in-Charge of their Sales Division. There became the team of Johnny White, Director of Sales, Lynn Kimball and Judy Michaud (now owner of Berkshire Hathaway HomeServices Meadows Mountain Realty). The Highlands Falls community took off like a rocket and our team sold it out by 1996. 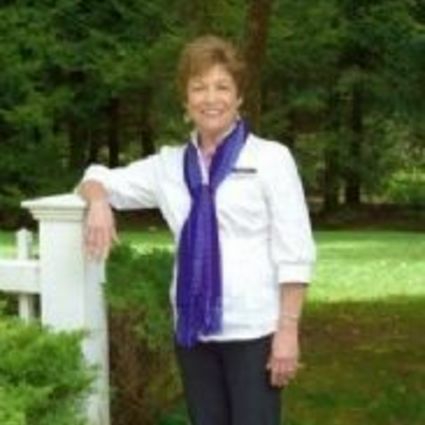 In 1996 Lynn purchased the real estate firm of Highlands Falls Realty and renamed the company “Signature Properties of Highlands”, working together with the same team plus additional agents. Signature Properties blossomed over the years to become the largest selling real estate firm in the Highlands-Cashiers area. In 2011, Signature Properties joined Meadows Mountain Realty. The original team of Judy Michaud, Johnny White and Lynn Kimball remain together today with a total of 15 full time Realtors, combining the best of both firms under the name of Berkshire HathawayHome Services Meadows Mountain Realty.